Classy Living Society is Honored by Atlanta City Council Proclamation! 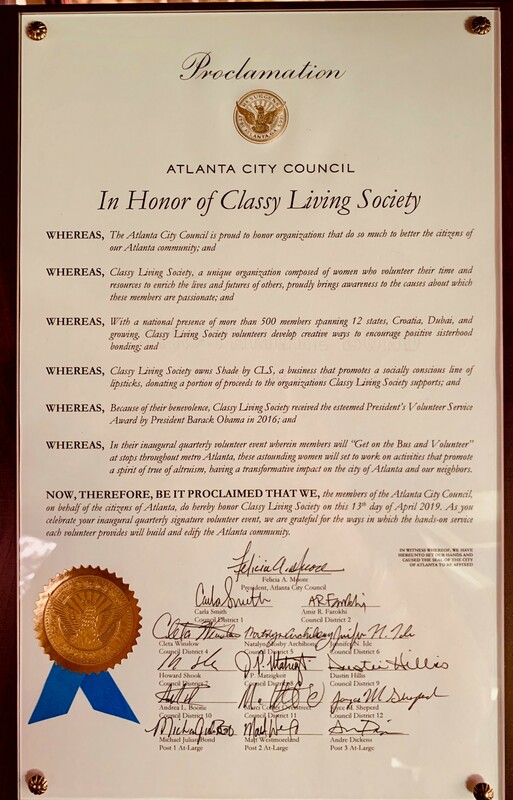 We are excited and pleased to announce that Classy Living Society was recognized – via PROCLAMATION – by the Atlanta City Council for our amazing first Society Saturdays event! 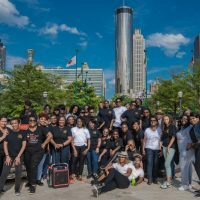 April 13 is now formally and officially declared by the City of Atlanta as the day our beloved national women’s community service organization got on the bus and volunteered! How Classy is that! This is yet another amazing ceremonial embrace bestowed upon Classy Living Society. Among many local and national recognition and accolades, CLS has been recognized by Kasim Reed, former Mayor of Atlanta, Georgia and is a proud recipient of the President’s Volunteer Service Award issued by President Barack Obama in 2016. This is such an amazing honor and to actually experience this volunteer effort left me speechless. A day of service was just that…an opportunity to impact lives around the city in such a meaningful way. 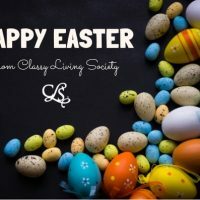 The sisters of Classy Living Society made volunteering look so easy and it was. Servant hearts and loads of enthusiasm! Thanking Mayor Keisha Lance Bottoms and the Atlanta City Council for this much appreciated recognition. Congratulations CLS! What an amazing day! After volunteering and serving we went to Centennial Park to see our CLS brick and celebrate Sisterhood. It brought even more joy to my heart to see young girls in the park, who we didn’t even know, joining us in jump rope and line dancing! Loved it!